Perhaps nowhere in the world do you get a better sense of East meets West than Hong Kong. People go to work in towering modern skyscrapers, and many residents speak perfect English. Of course, you’ll also find locals chowing down on classic Cantonese food under the glow of red lanterns. The former British colony and current SAR (Special Administrative Region) of China is a fascinating city with a complicated history. It’s also an amazing travel destination with lots to offer visitors. There are countless things to do in Hong Kong, from cruising around Victoria Harbour, to hiking to picturesque beaches, to feasting on dim sum, and much more. When I lived in China, I always looked forward to the obligatory visa runs to Hong Kong. It’s just such a fun city to visit with so many different options. 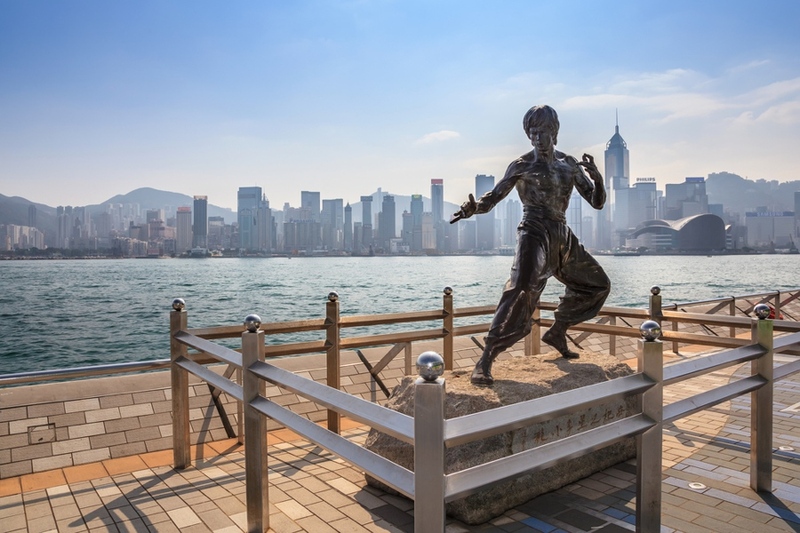 If you’re ready to plan a trip to Hong Kong, read on for some of the best things to do and places to visit in this bustling metropolis that’s known as one of the Four Asian Tigers. Note: While Hong Kong is a Special Administrative Region of China, and an autonomous territory, for the sake of redundancy, in this post we will refer to Hong Kong as a “city”. One of the top things to do in Hong Kong is taking a stroll along the Avenue of Stars. Hong Kong’s answer to the Hollywood Walk of Fame, this beautiful promenade along Victoria Harbour makes for the perfect introduction to the city. Along the way, you’ll spot hand prints, plaques, and statues honouring the stars of Hong Kong’s film industry. You’re sure to see some familiar names and faces, such as Bruce Lee and Jackie Chan. Make sure to bring your camera, because there are plenty of awesome photo ops here! 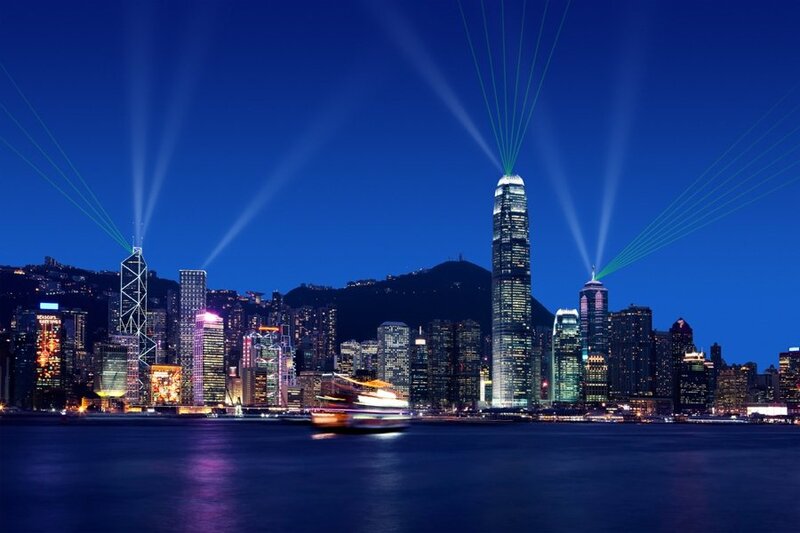 In addition to all of the stars, you’ll also get some incredible views of the harbour and Hong Kong Island from here. The Avenue of Stars is located on the Kowloon side of the city and can be reached by all modes of public transport. You can find it on the map here. By far the best and most scenic way to travel between Hong Kong Island and Kowloon is by riding the Star Ferry. Skip out on cramming onto the underground and instead feel the breeze and enjoy the views on the ferry. The Star Ferry has been operating since the late 19th century and is one of the most popular means of transportation in Hong Kong. On average, around 70,000 people take the ferry every day! It runs between Central or Wan Chai on Hong Kong Island to Tsim Tsa Shui in Kowloon and is the most picturesque way to travel in the city. Taking the Star Ferry is great not only for the views, but also for the value. Even the most expensive ticket – an upper deck seat on the weekend – only costs around $0.50. You can find all the information about the hours and fares here. If you’re ever unsure of what to do in Hong Kong, just find a local restaurant or street vendor and sample some Cantonese cuisine. It’s regarded as one of the Four Great Culinary Traditions of China, and is perhaps the most famous style of Chinese food around the globe. 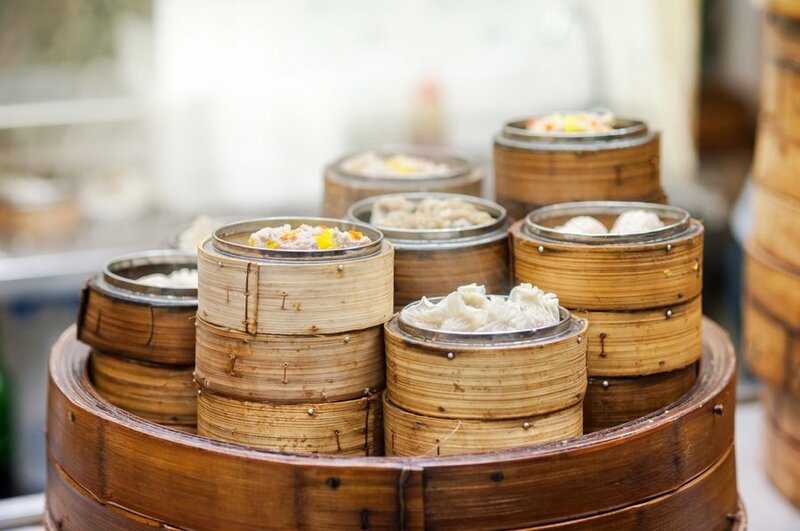 Without a doubt, the star of Cantonese cuisine is dim sum. The name can be translated as “touch the heart,” and that’s exactly what a good meal of dim sum does! Dim sum is basically a wide variety of dumplings and steamed buns that come with all sorts of different fillings. Waiters push carts full of tasty morsels around the restaurant, and you just pick whatever you think looks good. There’s a lot more to eat in HK than dim sum, though. Be sure to try some sweet and sour pork, drunken prawns, and the classic “old fire soup.” Feasting on Cantonese cuisine is definitely one of the tastiest things to do in Hong Kong! Insider Tip: check out Tim Ho Wan, which is one of the cheapest Michelin Starred restaurants in the world — with dishes from around $3.50, you can’t go wrong! One of the best places to visit in Hong Kong is Victoria Peak. Commonly referred to simply as “The Peak,” this 552 meter-tall hill provides the best views of Hong Kong. There are a few different ways you can reach The Peak to enjoy a bird’s-eye-view of Hong Kong. The most popular is riding the Peak Tram, a funicular railway that makes the steep trip up the hill. It operates from 7AM to midnight every day of the week. You can find the lower terminus of the tram on the map here. Alternatively, you can arrive at The Peak via bus or taxi. You can also hike if you’re up for the challenge! Once you’re at the top, there’s quite a lot to see and do, including a 360-degree observation tower and even a shopping mall. For more information about the opening hours, ticket options, and more, be sure to check out their website. If you’re wondering what to do in Hong Kong when it’s raining, don’t worry, the city is home to several excellent museums. Doing a bit of museum hopping is definitely one of the best things to do in Hong Kong, regardless of the weather. Perhaps the best is the Hong Kong Museum of History. It’s full of informative exhibits detailing the fascinating history of Hong Kong. The museum is open from 10AM to 6PM on Monday and Wednesday-Friday and stays open an hour later on the weekend. Best of all, it’s completely free! You can find the museum on the map here. Right next door, you’ll find the Hong Kong Science Museum. This hands-on museum is a lot of fun to visit, covering topics such as robotics and virtual reality. Tickets cost about $2.50, or you can try to visit on a Wednesday when it’s free. It’s open from 10AM to 7PM during the week and until 9 on the weekends, but is closed on Thursdays. 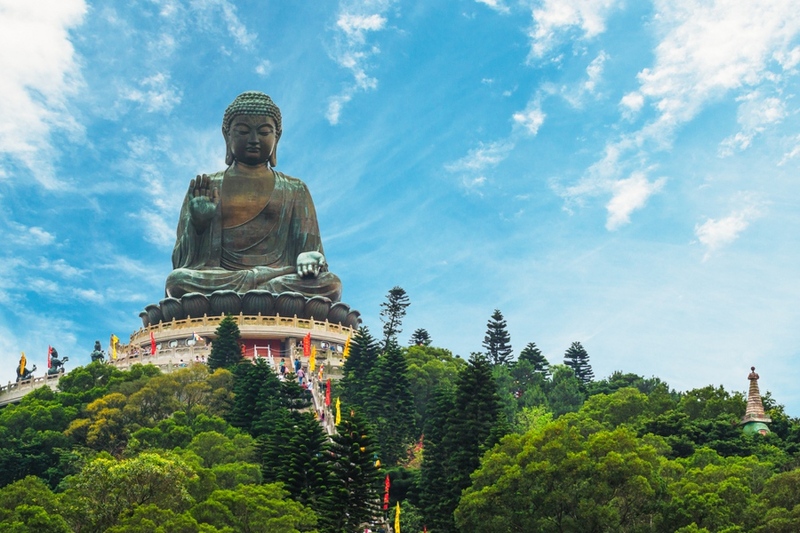 If you’re looking for a quick escape from the city centre, a great option is heading up to the New Territories to visit the 10,000 Buddhas Monastery. It’s a steep climb up 400+ stairs to get there, but you’re rewarded once you arrive at this stunning temple with its impressive 9-story pagoda. Along the way, you’ll pass by one life-sized Buddha statue after another. Each one is unique, and there are actually closer to 13,000 of them in total! Once you finally arrive at the top, you’ll also be treated to panoramic views of the mountains that surround the temple. The best way to reach the monastery is by taking the metro to the Sha Tin station. From there, it’s just a short walk to the start of the path. Be sure you wear comfortable shoes and bring some water for the hike up. You can find the monastery on the map here. While there’s plenty to see and do on Hong Kong Island and Kowloon to keep you busy, you’ll definitely want to be sure to fit in a day trip out to Lantau Island. It’s hands down one of the best places to visit in Hong Kong and full of awesome things to do. For starters, Lantau is home to Hong Kong Disneyland. That’s right – the happiest place on earth is right here in Hong Kong! It’s open from 10:30AM to 8:30PM every day, with tickets costing about $78 for adults and $58 for children ages 3-11. There’s a lot more to see and do on Lantau Island than hang with Mickey Mouse. One of the best things to do here is taking the cable car across the island to visit the Tian Tan Giant Buddha. While you’re over here, you might as well take a peaceful stroll along the Wisdom Path as well. You can also head over to the Tai O fishing village to eat some delicious seafood or go chill out on Pui O Beach. Just keep in mind that Lantau is actually quite big and the various attractions are spread out, so you may want to consider staying a night or two here to see it all. Without a doubt, one of the most interesting places to visit in Hong Kong is the Chungking Mansions. Don’t let the name fool you, as this isn’t exactly a glamorous place. Rather, it’s a huge building full of electronics vendors, ethnic restaurants, money changers, local apartments, and cheap guesthouses. Wandering around the maze-like Chungking Mansions is like taking a quick trip around the world. That’s because many immigrants and asylum seekers live and work here, from Bangladesh to Nigeria and all points in between. I’ve had some of the best curry in my life in a tiny, cramped restaurant in the Chungking Mansions. It’s a backpacker rite of passage in Hong Kong to stay in the infamous Chungking Mansions. Your room may be the size of a closet if you stay here, but at least it’ll be affordable! Even if you don’t decide to stay here, be sure to add a trip around the mansions to your list of things to do in Hong Kong. Wondering what to do in Hong Kong at night that doesn’t involve drinking? If you’re like me and love the combination of music and lazer lights, then be sure to check out the Symphony of Lights while travelling in HK. Every night at 8PM, Victoria Harbour is illuminated in a sea of neon lights along with music and the occasional fireworks. It’s definitely one of the coolest things to see in Hong Kong. To take in the Symphony of Lights, you can just head down to the Avenue of Stars and find a good spot. The show only lasts for 14 minutes, so you’ll want to make sure to get down there a little early. There are now quite a few buildings participating on the Kowloon side, so you can also watch from over on Hong Kong Island. While it’s perfectly fine watching the show from land, it’s even better out on the water. There are plenty of people running cruises around the harbour during the show. We even managed to get on one that included an open bar. You can sign up for a tour in advance or just go down there early to shop around. Walking around the city, you’ll quickly see why some refer to it as “Hong Kong-crete”. While it’s true that Hong Kong is full of skyscrapers, shopping malls, and constant construction, you’re never too far from a park where you can escape it all. As a matter of fact, around 70% of Hong Kong is actually classified as countryside. Once you get out of Kowloon and up into the area known as the New Territories, there are several huge country parks that make for great day trips. Even in the busy city centre, you have plenty of options for local parks. Both Hong Kong Park and Kowloon Park are excellent choices for spending a few relaxing hours away from the hustle and bustle. If you’re ever unsure of what to do in Hong Kong, just find a local park and chill out for a while as you plan your next move. Note: Want to know what it’s like being a digital nomad in Hong Kong? Be sure to check out this awesome and informative post! Riding escalators may seem like an odd item to have on a list of the best things to do in Hong Kong, but hear me out. HK is actually home to the world’s longest outdoor escalator system, which connects Central to the Mid-level. The escalators go down during the morning rush hour and up the rest of the day. Taking them is a great way to explore some of Hong Kong’s oldest neighborhoods while giving your weary feet a rest. Just wait until after 9AM when all the locals are already at work. Along the way, you can hop off the escalators whenever you see something interesting. There are tons of great shops, cafes, restaurants, and bars in this area, so you can easily spend half a day just taking it all in. By far one of the coolest things to do in Hong Kong is cruising on a junk boat with your mates. Riding on these traditional boats with their bright red sails while taking in the scenery of this modern, cosmopolitan city is a must when visiting HK. There are many different options for taking a junk boat in Hong Kong. Some just cruise around Victoria Harbour, while others include visits to beaches and outlying islands. Some are even all-inclusive with an open bar and food! If you don’t have a big group and can’t rent an entire boat out, you’ll want to go with either the Duk Ling or the Aqua Lung. Both boats have a few different options, including evening cruises that take in the Symphony of Lights. Check out all the options for them on this website. I don’t know about you, but I love a good night market. I especially love night markets in Asia, and Hong Kong is home to several of them. There’s just something special about taking in the sights, smells, sounds and tastes of these bustling markets. Perhaps the best choice is the Temple Street night market. This bustling market is full of vendors selling just about everything – jade, antiques, tea, electronics – you name it, they probably have it here. Haggling is expected here, so be sure to negotiate a good price. In addition to all the shopping, this is an awesome place to eat. Take your pick from countless stalls selling various snacks and classic Cantonese dishes. Grab a street beer from 7-11 and you’ve got yourself a fun night out without breaking the bank! 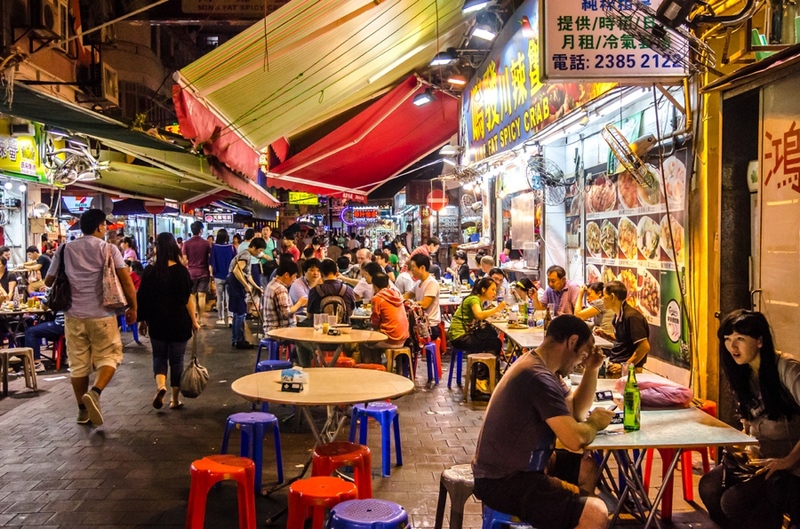 The Temple Street night market is located in Kowloon, and you can find it on the map here. This may come as a surprise, but did you know that it’s possible to have a relaxing island vacation in Hong Kong? A popular weekend getaway with Hong Kongers, Lamma Island is a fantastic vacation destination with a lot to offer. Upon arrival on Lamma, you’ll find it hard to believe that you’re still in Hong Kong! There are no cars on the island, nor are there any skyscrapers. Days here can be spent hiking to picturesque beaches, dining on fresh seafood, and just enjoying some good old fashioned R&R. The best way to get to Lamma is by catching a ferry from Central Pier 4 on HK Island. These leave every 20-30 minutes and only take about half an hour to make the crossing. Best of all, tickets only cost about $2.25 one way. Lamma Island is definitely one of the best places to visit in Hong Kong, so be sure to budget at least a day here. Pro Tip – try to avoid coming on the weekend, when the island is absolutely packed with locals looking for a quick escape. Come here on a Wednesday and you’ll get the peace and tranquility you desire. One of the most exciting things to do in Hong Kong is catching the horse races. As this is the only sport that Hong Kongers can legally bet on, people go wild for the races and they’re incredibly exciting to be a part of. There are two different tracks for horse racing in Hong Kong – Happy Valley on HK Island and Sha Tin in the New Territories. As a traveller, your best bet is heading to Happy Valley for their “Happy Wednesday” races. In addition to the race, each week has a fun theme such as Oktoberfest or Bollywood. They also have food, drinks, and live music, making for a fun carnival atmosphere. The racing season in Hong Kong goes from September until July. Gates open at 5PM and the races go from 7:15-11, with about 7-8 in all. You can score tickets for as cheap as $1.25, get a members’ badge for about $13, or join a tour that includes transportation, a buffet, and an open bar. Check the location of Happy Valley on the map here. Speaking of gambling, why not head to the Vegas of the Orient while you’re in Hong Kong? I’m talking, of course, about Macau! China’s other Special Administrative Region is just a ferry ride away, making for a great day trip out of Hong Kong. While Macau may be famous for its many casinos, there’s a lot more to the city than gambling. As a former Portuguese colony, the historic city centre still retains a very European look. It’s actually a UNESCO World Heritage Site and is home to 25 different cultural and historical locations. While you’re there, be sure to eat some pork buns and egg tarts. Ferries to Macau operate from Sheung Wan on HK Island 24 hours a day, leaving every 15-30 minutes. Round-trip tickets cost $40 during the week and a few bucks more on the weekend. You can read all about the different ferry options on this website. Once home to a police station, courthouse and prison, Tai Kwun was re-purposed and transformed into a thriving Heritage and Art Centre. It consists of 16 different heritage buildings along with several art galleries, shops, bars, and restaurants. It’s definitely one of the coolest places to visit in Hong Kong. There’s so much to see and do at the Tai Kwun Heritage that you can easily spend a whole day there. History buffs will want to check out the historic buildings on one of their interactive tours. If you’re into art, head into some of their amazing exhibitions or catch a performance. You’re sure to work up an appetite, so stick around to grab a meal in one of their many restaurants. If you want to wind down with a cocktail, drop into Behind Bars, a bar located in the former prison cells. Now that’s a cool shot for Instagram! The Tai Kwun Centre is open daily from 10AM to 11PM, and you can find it on the map here. Believe it or not, this mega-city is actually an excellent place to go on a hike and camp out for a night. Hong Kong is full of mountains, trails, and country parks, giving you plenty of options for a fun trip out in nature. Hiking trails vary in length and difficulty and can be found in all areas of Hong Kong. In the city, you can just head up the Wan Chai Green Trail for a quick escape. If you’re up for more of a challenge, you might want to try tackling the famous Dragon’s Back trail or try the physically demanding Castle Peak. As far as camping goes, campsites are plentiful in Hong Kong. Best of all, they’re free of charge! Some have very limited facilities, while others have actual bathrooms and showers. Just be aware that camping is very popular on weekends and holidays, so you won’t find the peace and solitude you’re looking for at those times. 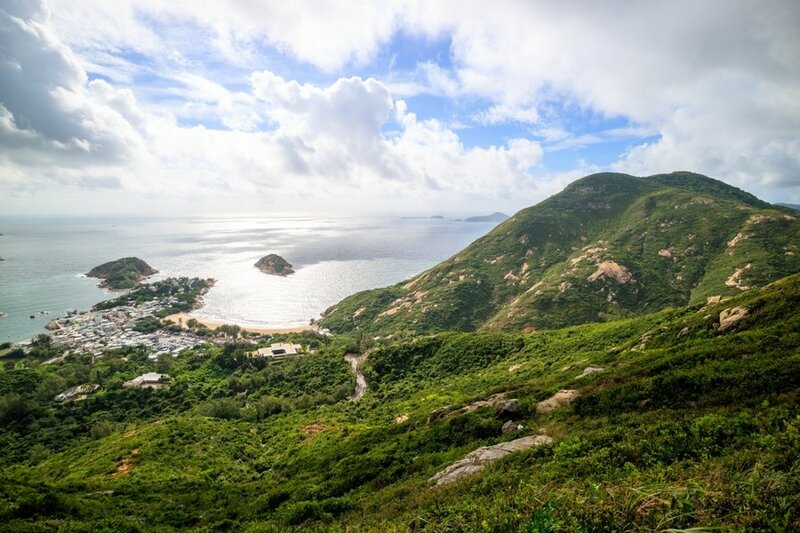 Either way, hiking and camping are definitely some of the best things to do in Hong Kong. Taking part in local festivals is fun no matter where you are in the world. Hong Kong has festivals of all shapes and sizes going on all throughout the year. From traditional Chinese cultural events to modern music festivals, there’s always something going on in HK. Some of the most exciting festivals to experience in Hong Kong include the Chinese New Year and the Dragon Boat Festival. The former is full of parades and fireworks displays, while the latter features exciting dragon boat races and is basically a huge party. If you’re unfamiliar with China’s biggest holiday, check out our guide to navigating Chinese New Year. The USA has Coachella, the UK has Glastonbury, and Hong Kong has Clockenflap. It may be a silly name, but it’s a pretty awesome music and arts festival. With the Hong Kong skyline on one side and the harbour on the other, it might have one of the best locations of any music festival out there. One of the most interesting places to visit in Hong Kong is Kam Shan Park. It’s commonly referred to as Monkey Hill, due to the large population of macaques that call this area home. You’ll see the monkeys all over the park, as it’s estimated that there are around 1,800 of them here. Just be careful if you bring any food along, as these cheeky monkeys are known to go a bit wild when they see plastic bags. Even though they would surely love it, please don’t feed the monkeys. It’s not just monkey business at Kam Shan, though. The park is home to a few hiking trails and reservoirs as well, so it’s a great place to come and spend an afternoon. You can find the park on the map here. We can’t talk about the best things to do in Hong Kong without diving into the nightlife a bit. 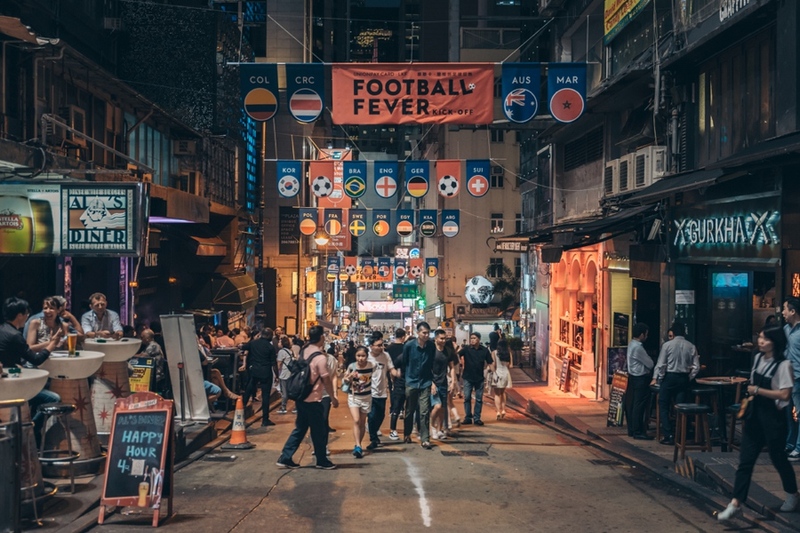 If you’re hoping to party it up in Hong Kong, look no further than Lan Kwai Fong. This is probably the most popular and most wild spot for nightlife in the city and is always a good time. No matter what night of the week it is, LKF is bumping with a nice mix of locals, expats, and tourists. The steep street is home to countless restaurants, bars, and clubs. The party gets started right after work with great happy hour deals and goes into the wee hours of the morning. There are so many different places to choose from in LKF that you could come here every night of your trip and try something different. I personally love partying there and find it to be one of the best places for a night out in all of China. Lan Kwai Fong is located in Central HK and can be found on the map here. Pack Your Bags For Hong Kong! Wow – can you believe that you can do all of those things in just one destination? It still blows my mind that you can go from the bustling city centre full of high rises, to secluded hiking trails in the New Territories, to a chilled out beach on Lamma, to Disneyland… and still be in Hong Kong! If you’re planning a big Asia adventure, I highly recommend including a stop in Hong Kong along the way. Flight deals are always popping up to and from HK, making it the perfect place to start or end your trip. I’ve already been there three times now and can’t wait for my next visit.